What could be better than ‘Airlift’ to give such great start of this new year for Bollywood. The film was released near Republic Day and won everyone’s heart with its intense and strong content. Now one was expected such tremendous performance by this war thriller, based on a true story of year 1990 when Iraq invaded Kuwait under the leadership of Saddam Hussein. Being Akshay Kumar starrer Airlift was buzzing around from a long time before its release. As predicted on behalf of its pre-release hype, film has been taken the box office by storm. It has received very positive reviews from all the critics as well as entire film industry. Everyone find the film very gripping and is being loved across the country as well as overseas. The lead star Akshay Kumar has received huge appreciation for his work in Airlift. Along with him, Nimrat Kaur has played as a leading lady and once again proved herself as one of the finest actresses in Indian cinema. In its entire journey till yet, Airlift has registered many records at box office to the name of Akshay. It has become the fourth film of him to gross over 100 crores at domestic box office after Rowdy Rathore, Housefull 2 & Holiday. With a terrific performance through out, it has become the second highest grosser film of Akshay so far after Rowdy Rathore at domestic box office and also crossed the mark of 200 crores at worldwide box office. In the four weeks of release, this Raja Krishna Menon’s directorial has done the business of around 127.41 crores*, that includes 83.50 crores of first week, 28.79 crores of second week, 11.91 crores* of third week and 3.21 crores* of fourth week. With gradual decrease in business, Airlift has minted the amount of only 0.14 crore* on Friday as its 29th day collection. On Saturday it has not witnessed any considerable growth and minted 0.15 crore* as its 30th day collection. Till the end of its 30 days journey, total collection of the film is recorded as 127.70 crores* on Indian screens. The film has reported the business of approximately 45 crores* from overseas and has done the business of over 220 crores* at worldwide box office including the distribution shares. 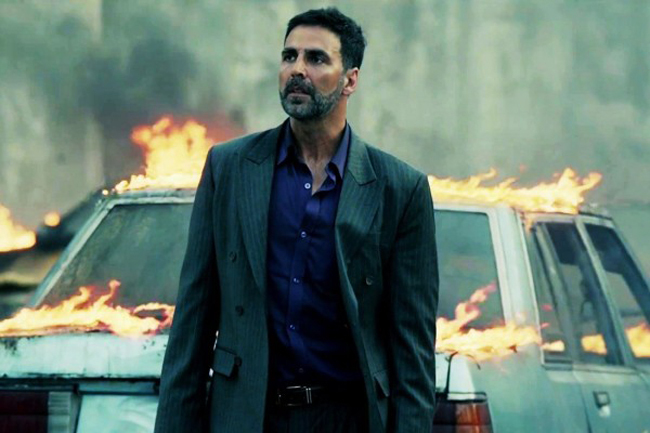 Now Airlift has lost all its hold over audience and new releases have taken its place. But in some regions, it is still adding small business figures to its account.